AVA, Letta has toured European capitals since he took office last week calling for an EU policy switch to focus more on growth and less on austerity. Italy can stage an economic recovery without increasing its huge public debt, Prime Minister Enrico Letta said on Monday ahead of a meeting with his Spanish counterpart where he hoped to find support for his calls for a policy switch in Europe. Data on Monday offered a glint of hope that Italy's longest recession for 20 years may be gradually easing, though the euro zone's third largest economy is still expected to contract sharply in 2013 for the second year running. Letta, who heads a broad left-right coalition formed after two months of post-election disarray, is under conflicting pressures to cut taxes and stimulate the economy while not breaking austerity commitments to Italy's European Union partners. "It's possible to create growth without running up debts. 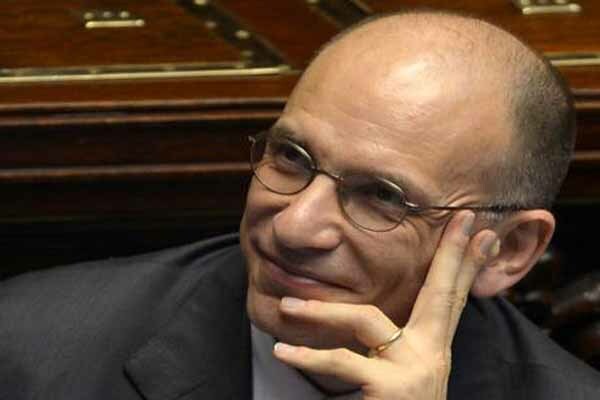 Other countries have proved that, I know very well that it's difficult, but this is the aim," Letta told reporters in Milan. "Unfortunately we are a concrete example that increasing debt doesn't mean fostering growth, because in all these years we have created a lot of debt without growing." Letta has toured European capitals since he took office last week calling for an EU policy switch to focus more on growth and less on austerity. He was to meet Spanish Prime Minister Mariano Rajoy in Madrid later on Monday. He described Spain, which has one of the region's highest jobless rates, as "a natural ally to make Europe a continent of attention to growth and social problems." Italy has been the euro zone's most sluggish economy for more than a decade and its public debt, at 127 percent of output last year, is the second highest in the region after Greece. At home, Letta is having to mediate among different demands within his government. Deputy Economy Minister Stefano Fassina picked a fight with his boss on Sunday when he said Italy should allow its deficit to rise this year and ask the EU for two more years to cut it below the EU's limit of 3 percent of output. Fassina, from Letta's centre-left Democratic Party, echoed similar calls from centre-right leader Silvio Berlusconi and contradicted Economy Minister Fabrizio Saccomanni, who last week ruled out any re-negotiation of Italy's budget targets. On Monday the parliament formed after February's election began discussing the multi-year targets of Letta's predecessor Mario Monti. 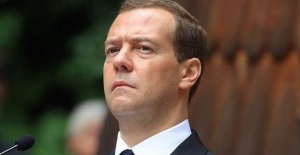 It is expected to ask the government to loosen next year's deficit goal, currently set at 1.8 percent of output. The new Italian premier, criticised for pledging tax cuts and more welfare without explaining how to finance them, said on Monday that what he called his "dreams" were "necessary amid the arid politics of numbers." The country's service sector shrank for the 23rd consecutive month in April but at the slowest rate for nearly two years, a survey showed on Monday, following similar findings for the manufacturing sector published last week. However, national statistics bureau ISTAT forecast on Monday that gross domestic product would fall 1.4 percent this year following last year's 2.4 percent drop, slashing a previous projection of a 0.5 percent decline. ISTAT forecast a modest recovery of 0.7 percent in 2014 thanks to improved domestic demand, but said joblessness would continue to climb to 12.3 percent in 2014 from a projected 11.9 percent this year.